Beautiful day today, mild and sunny. I went for a walk with Liane and we happened across some lovely beets! We were giddy picking for supper near the end of winter! 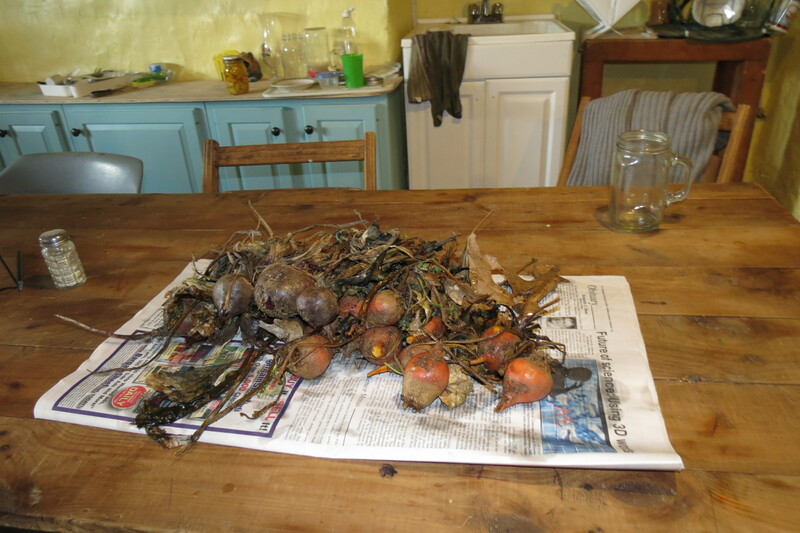 We boiled the beets just long enough for the skins to peel easily, about 10 minutes. While the beets were boiling, I added some olive oil to a skillet and diced 1 onion to saute in the skillet. We peeled and cubed the beets adding them to the skillet with a cup of the beet water and the following ingredients. I sauteed these ingredients in the skillet with the beets. Then I added 1 1/2 c yogurt and stirred the yogurt with the beets and onion. 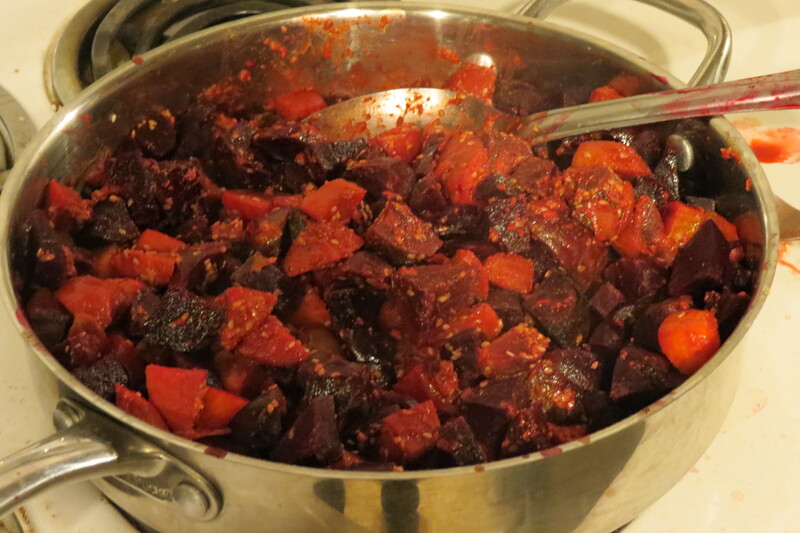 I haven’t had too many beets yet but will save this one as I haven’t thought to put curry with them before. It’s fun to experiment with seasonings, especially Indian spices. Not everything works out as planned, but this one was a hit!